I received this book from #kidlitexchange to read in exchange for an honest review. All opinions are my own. 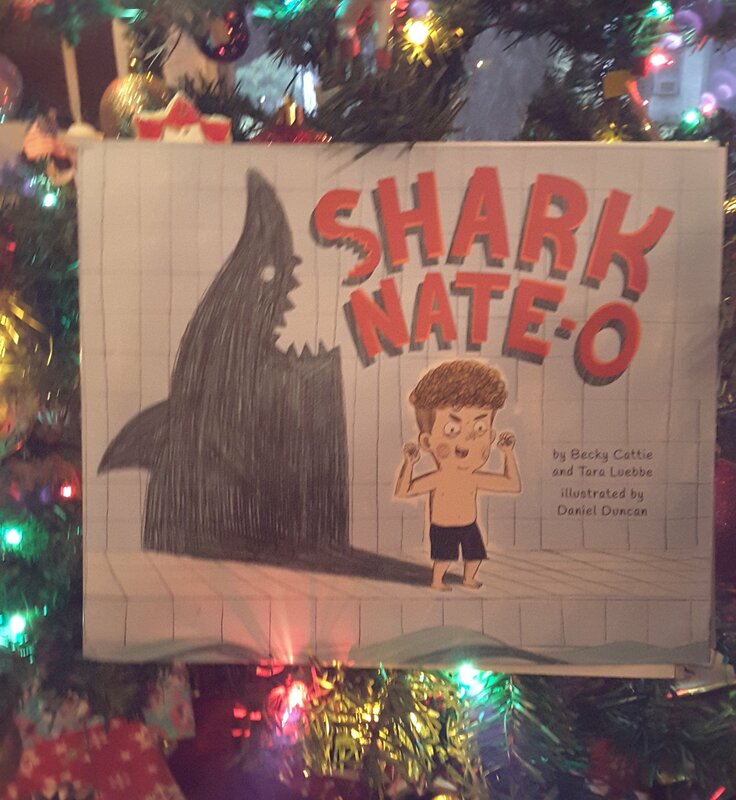 Shark Nate-o by Becky Cattie and Tara Luebbe Illustrated by Daniel Duncan. 🌟🌟🌟🌟🌟Do you love sharks? Not as much as Nate! He reads about sharks, watches them on tv, and even pretends to be one on the playground at school. However, one day his big brother Alex tells Nate he can’t be a shark because he can’t swim. But Nate has a plan, swim lessons and a race. Does Nate have what it takes to swim with the sharks? This picture book is very well written and very beautifully illustrated. The glossary of sharks at the end will have kids ooooing and awwwing until the last page. Review also posted on Instagram @jasonnstacie, Library Thing, Goodreads/StacieBoren, Amazon, and Go Read.